Dr. Hammad Haider expansively touches all aspects of stress and pathological fractures at sqadia.com. Starting off with stress fractures, pathological fractures and types of physeal injuries also comes under debate. Injuries to joints are also discussed. Lastly, dislocation and subluxation are pursued. Two main types of stress of fatigue fractures discussed in this section are bending stress and compression stress. Sites affected with stress fractures are shaft of humerus, pubic rami or femoral neck, calcaneum. 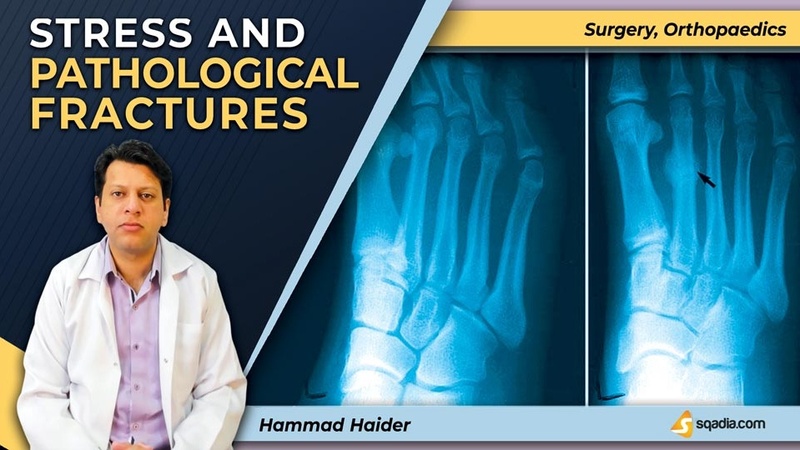 Imaging techniques used to locate the fracture are X-rays, radioscintigraphy, and MRI. Treatment modality is also elaborated. 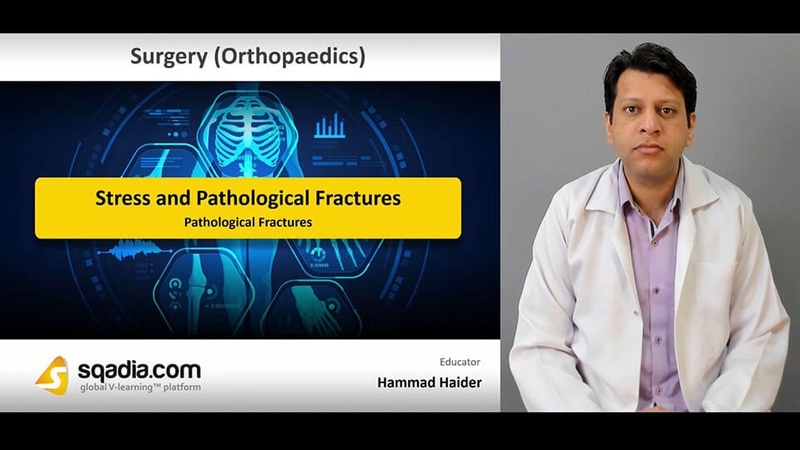 Orthopaedic surgeon begins by explaining what pathological fractures actually are. To carry out examination, local signs should not be missed. Diagnosis involves various tests such as local radionuclide imaging, tests for syphilis and metabolic bone disorders. After that, treatment option is suggested for generalized bone disease, local benign conditions, and primary malignant tumour. Injuries of the physis are classified into type 1, type 2, type 3, type 4, and type 5. Following this, mechanism of injury is pursued. X-rays studies of physeal injuries demonstrates that physis is radiolucent, epiphysis is incompletely ossified, and type 5 injuries can only be diagnosed in retrospect. Information about treatment and complications is also delivered. Bones are pulled apart when injuries to joints occur. Sprain is the painful wrenching, strain is the physical effect of tress, and rupture is the severe stretching or twisting force. Then, comments are given on strained ligament and ruptured ligament. Their treatment approach is also highlighted. Dislocation means that the joint surfaces are completely displaced and are no longer in contact. After that, subluxation is defined. Then clinical features are presented. This is followed by elucidation of treatment. Complications include vascular injury, nerve injury, avascular necrosis of bone, joint stiffness and secondary osteoarthritis.